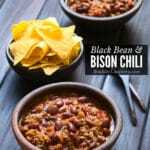 Bison chili is a lean chili with no scrimping on big flavor! Heat the olive oil in a large heavy pot over medium-high. Add the bison/buffalo meat and brown, breaking into small pieces as it cooks (3-5 minuts). NOTE: there should be no pink color remaining. 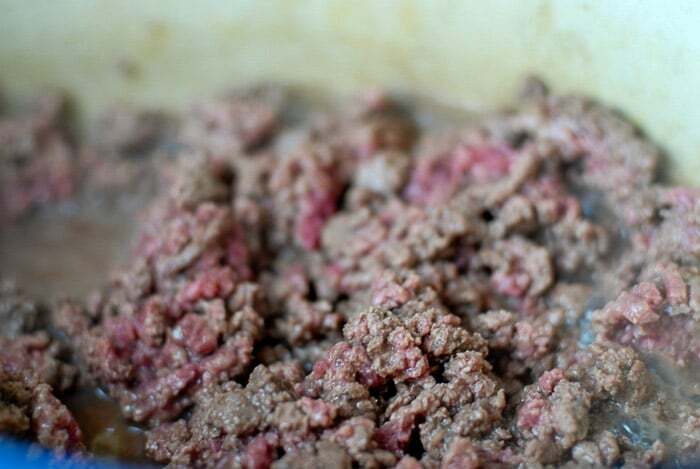 If substituting ground beef, drain (bison will render almost no fat). 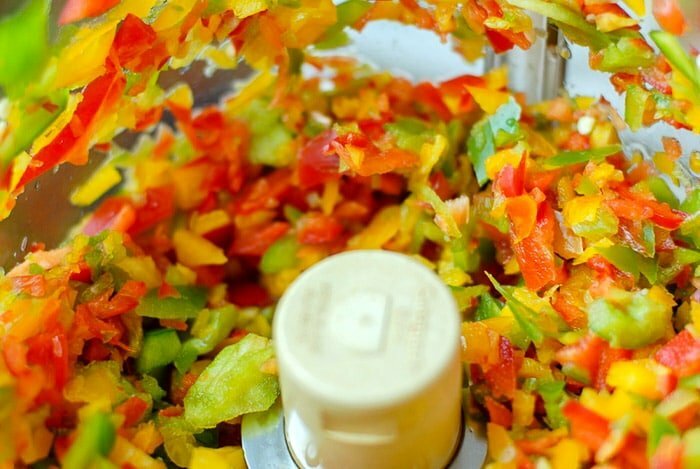 Add the corn, diced tomatoes, beans, onion , garlic, peppers, green chilies, spices and tomato juice or Bloody Mary mix. Stir to fully combine. Simmer, covered, for 45 minutes, stirring periodically to prevent sticking. Serve in bowls with toppings as desired. *Tomato juice will be mild and Bloody Mary mix will add more spiciness to the recipe.